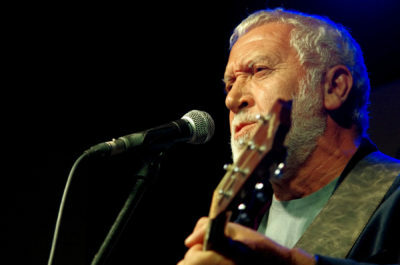 What on earth is Gordon Haskell doing here? Nearly nine years after he beat a tactical retreat from his beloved Dorset to start a new life on the Greek island idyll of Skopelos, the Bournemouth-born singer-songwriter-musician is back under grey skies on frozen home soil. He obviously hasn’t come home for the weather, but he is visibly renewed, his smile is warmer, his handshake firmer – turning 70 clearly agrees with the man best known for ‘How Wonderful You Are’, arguably the most unexpected hit of the century that was only kept off the Christmas number one spot in 2001 by Robbie Williams. The reasons for that are many and varied, but as far as Gordon is concerned largely amount to the industry closing ranks in order to keep the outsider where he belonged. Outside. 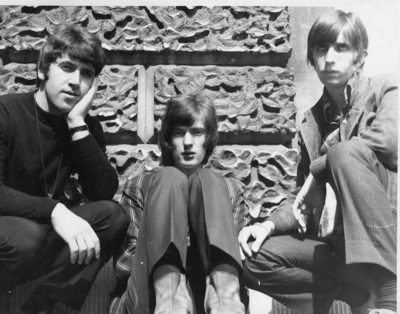 The episode precipitated a new low for Gordon after 35 years as a professional musician in which time he had been at the heart of the 1960s in-crowd with the band Fleur de Lys, shared a flat with Jimi Hendrix and been co-opted by his old Wimborne Grammar School friend Robert Fripp into the avant-garde rock behemoth King Crimson. As he saw it the money he made from ‘How Wonderful You Are’ and the resultant hit album Harry’s Bar should have been back pay for his years on the fringes, but instead it felt like a pay-off and although he soldiered on for a couple more albums the dream was over, he’d had enough. ‘Moving to Skopelos was an exercise in self preservation that turned into self discovery – basically it’s where I went to grow up,’ he says. ‘I got there just in time to see a country destroyed by the central banks, but I had everything I need on Skopelos. I grow vegetables, get fish from the sea and have water to hand; and it’s peaceful so I can think and understand what happened. ‘After we had the hit with ’How Wonderful You Are’ I bought a house in Ashmore, a truly beautiful place and I loved it there, although in the end I had to leave it all behind. My neighbours included a merchant banker, a mercenary and a retired Army major, fascinating people who knew how the world works and in hindsight they taught me a great deal, but to me they were just my neighbours who invited me to dinner. Armed with this new knowledge, Gordon is gearing up for another turn on the merry-go-round – if he can find his way aboard: ‘I feel as if I’m off to see the Wizard of Oz so there’s no reason it can’t happen again,’ he states, emphatically. ‘I hadn’t looked at the album charts for eight years but when I came back seven of the artists in the top ten were older than me, so why not? I’ve got this new song ‘More Than That’ and I get the same feeling from it as I did from ‘How Wonderful You Are’ and, just as I did then, I sent it to Johnnie Walker and he’s been very kind about it. The music industry Gordon knew as a young man is long gone and he doesn’t miss it. 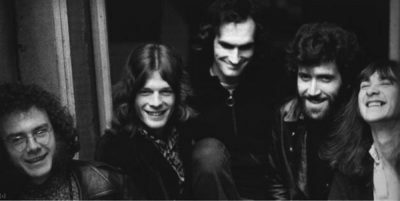 King Crimson’s meticulously planned trajectory wasn’t for him and although he was signed to Atlantic Records as a solo artist a hit record eluded him. He went on to play bass for Cliff Richard among others before returning to Dorset to write his own material and play the pubs and clubs. 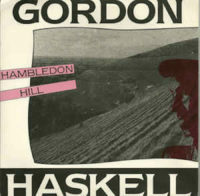 Life as a self-contained artist suited Gordon well and it’s that spirit which imbued his independently released albums such as 1990’s Hambledon Hill that he’s now invoking. A couple of hours pass easily in Gordon’s company as he accentuates the positive and keeps reminding himself not to mess things up by ranting. He consistently affirms his love for his home county and clearly relishes being home – a sheaf of half-finished songs evince the rich vein of inspiration he has tapped – he’s not even worried about bumping into those he considers have done him wrong. • This is just the latest instalment in an on-going conversation with Gordon in print – click the links for earlier chapters: 2013, 2010, 2008.